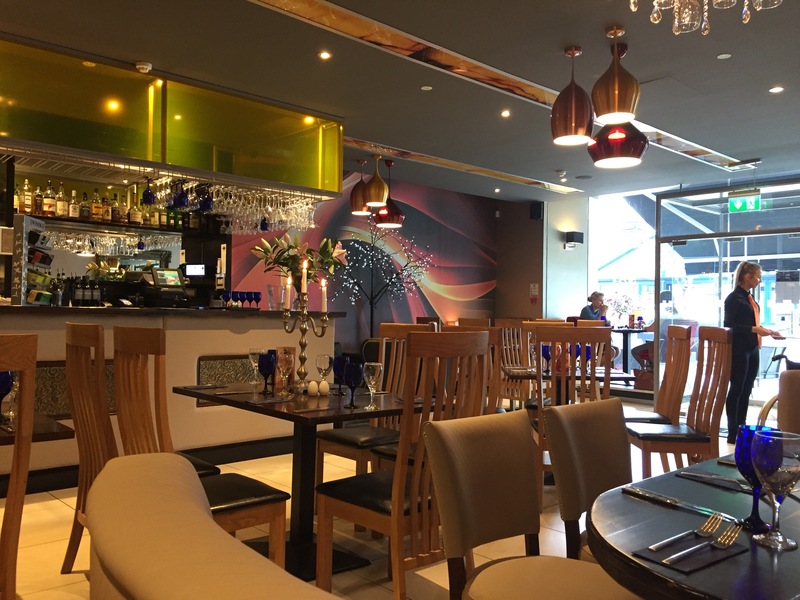 A new Italian restaurant has just opened its doors in Lisburn in the newly transformed Lisburn Square. The area, which now houses the likes of restaurants, coffee shops and boutiques, is fast becoming a thriving part of the city centre. One such restaurant is Alfredo’s owned by restaurateur Richard Graham, who previously owned Angelo’s in Lisburn. The restaurant focuses on homemade pastas and pizzas, with an added focus on fish and shellfish. When we arrived it was fairly quiet, but it was just after 6pm so I suppose it hadn’t experienced its 7-8pm rush. The starters range from £4.95 (for the likes of soup and bruschetta) right up to £7.95 for antipasta including chorizo, parma ham, salami, olives and breads. 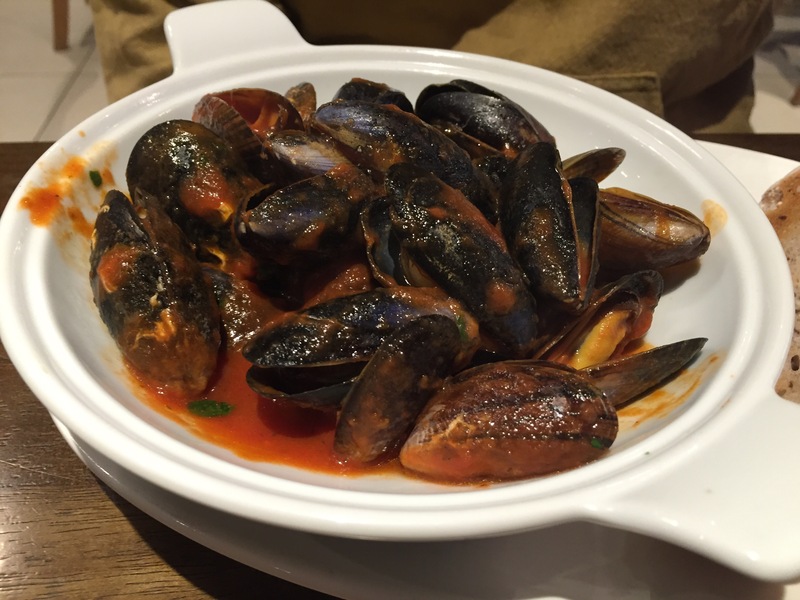 To begin with I chose the Selection of Home Baked Italian Breads (£5.25), while Barry picked the Dundrum Mussels (£6.95). 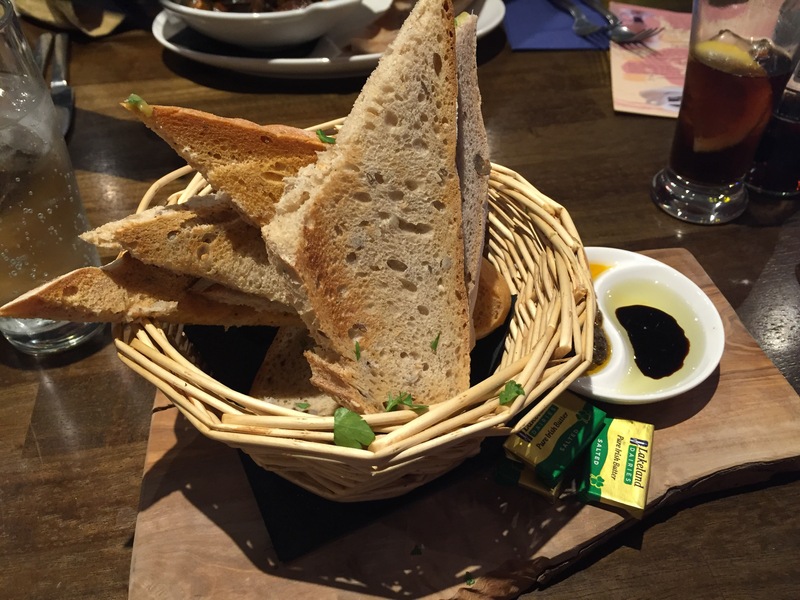 The breads were a good size (enough for two people) with delicious accompaniments of Tapenade and Virgin Olive Oil. Barry really enjoyed his mussels too and said the tomato and garlic sauce worked well with the shellfish. 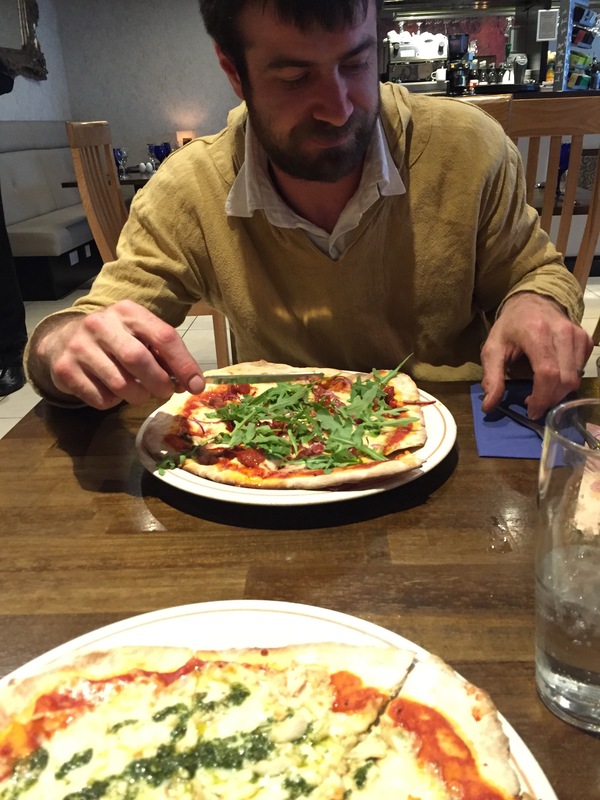 For mains we both decided to go for pizzas! (As if I needed more bread!) 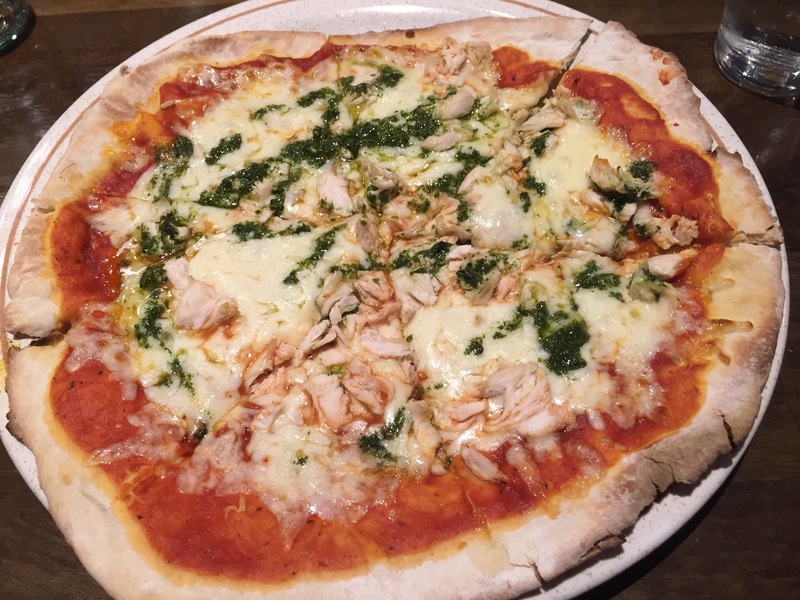 I selected the POLLO pizza which was topped with roast chicken and basil pesto, costing £10.50. 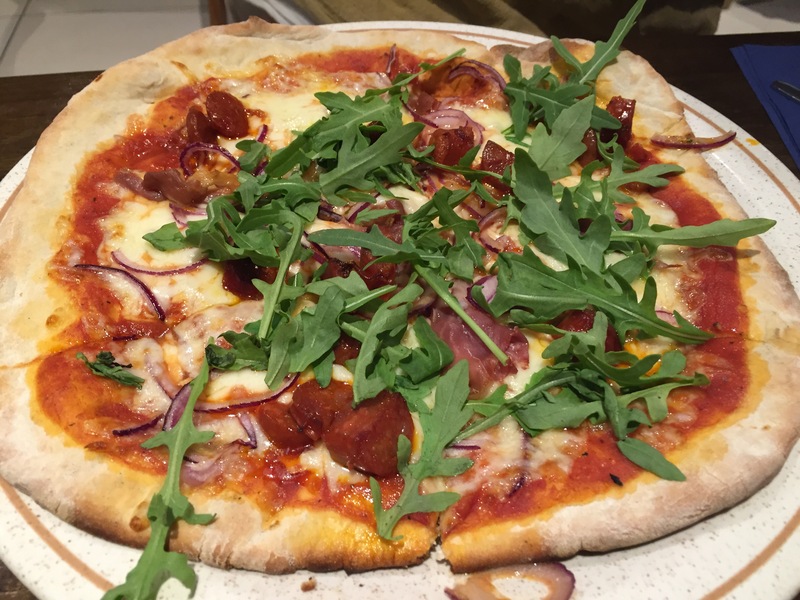 Barry went for the BIANCANEVE served with Parma Ham, chorizo, red onion & rocket, also £10.50. Again, I liked the size of the portions and the base of the pizzas were thin and crispy. They had a much more authentic Italian taste than some of the pizza chains, so very enjoyable! I would have liked less tomato sauce as it was too much in parts, but overall it was tasty and we cleared our plates. 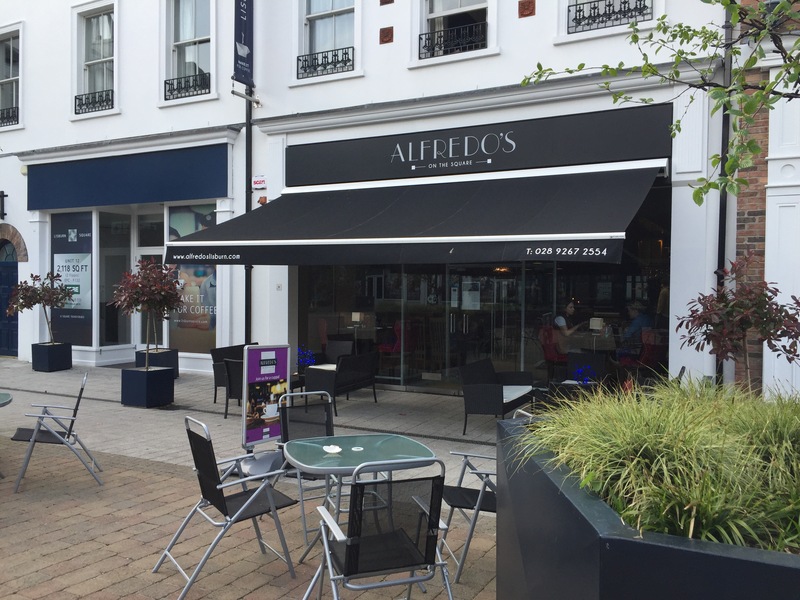 Alfredo’s has that nice mix of being a modern restaurant with authentic Italian food and it was good to experience what Lisburn Square has to offer! Great review, gonna have to get along to Alfredo’s I’m well late for the party!